The Lyda Club Crete Hotel is in in the popular tourist resort of Gouves and offers numerous on-site amenities as well as a handy location from which you can explore what this island has to offer. There are five pools in the complex and the beach is just 15 minutes’ walk away. Guests can avail of the all-inclusive programme which covers breakfast, lunch and dinner as well as snacks and selected drinks. The hotel is close to the Acqua Plus Waterpark, Natural History Museum of Crete and the Crete Golf Club. This is a suitable place to stay for couples, groups and families to enjoy one of the most popular Greek islands. The Lyda Club Crete Hotel is just 1 mile away from the nearest beach and is in the popular tourist location of Gouves. Some of the main attractions that are close by include the Acqua Plus Waterpark (3.7 miles), Natural History Museum of Crete (9.3 miles) and golfers can head to the Crete Golf Club which is 3.1 miles away. The Heraklion International Airport is 8.3 miles from the hotel. There are 140 rooms in total at the Lyda Club Crete Hotel. You can choose from a Double Room, Studio Apartment or a Two-Bedroom Apartment. The rooms and apartments come with air conditioning, mini-fridge and a balcony or terrace. 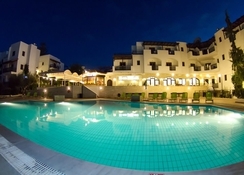 There is an all-inclusive option at the Lyda Club Crete Hotel. There is a restaurant that is open for breakfast, lunch, dinner and the all-inclusive option also covers snacks and selected drinks. Guests can also avail of the poolside bar, swim up bar and there is a main bar as well at the property. 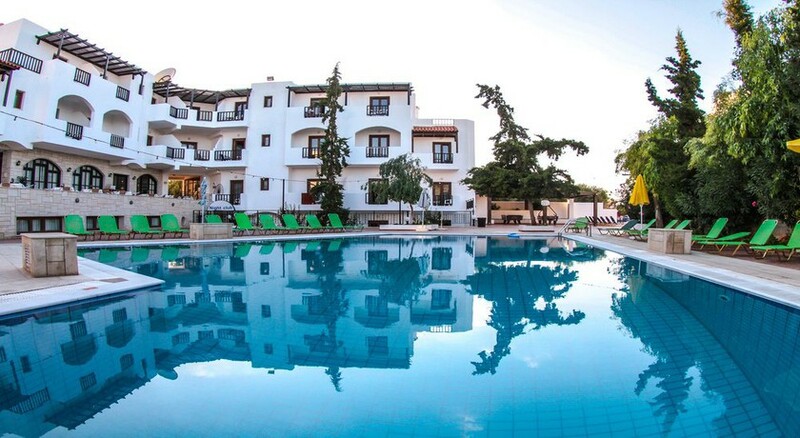 You will find three outdoor swimming pools, two children’s pools, a children’s playground, games room and there are sun beds too at the Lyda Club Crete Hotel. The hotel hosts regular entertainment which includes activities during the day and themed nights. Kids can head to the Kids Club for ages 5 years and below. The nearest beach is just a short walk away from the hotel and you can enjoy a selection of water sports such as canoeing, water skiing, banana boat and pedalo’s. There is a wide selection of bars and restaurants along the beach front. Lovely staff and only a short walk from bus stop and taxi rank. Pool was clean, room was outdated but we were happy. Would stay here again.